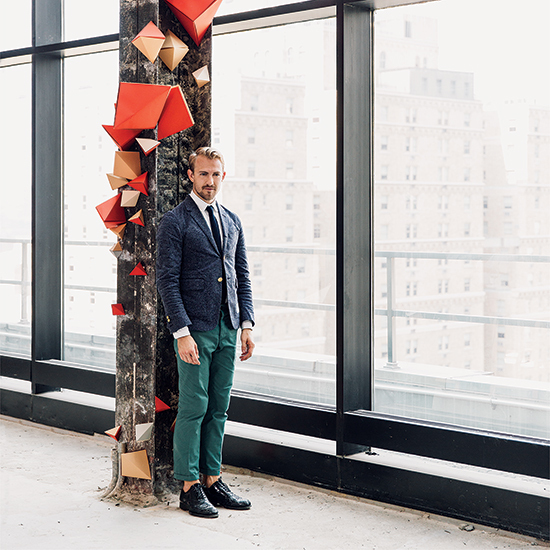 The founders of Spring Street Social Society bring wit, style and theatrical flair (roller-skating clowns, singing waiters, secret entrances) to their one-of-a-kind parties. Evoking the Jazz Age, the Society transformed the library and boardroom of the former New York Times HQ into the setting for a slightly madcap party. The Decorations The Brothers Mueller, designers and programmers, adorned the space with tassels and paper spikes. “I was having a paper moment,” says Janelle. The Society took over a former New York subway station built in the ’60s. “We had a number of performers, including my partner, Amy, on ukulele,” says Janelle. The Food Chef Camille Becerra of Manhattan’s Navy created the height-of-summer meal: chilled melon-tomato soup with smoked olive oil, pasta with greens, and poached peaches with chile and lime. The Uniform Servers, as well as guests, dressed up for the occasion. Brooklyn’s Birdkage provided aprons, like a cotton one with ticking stripes. “Kevin Masse was a server, and he’s also a Society member. He’s a dapper dresser,” says Janelle. Spring Street Social Society hosts “parlor parties,” small salon-style gatherings in private homes. This holiday-themed one featured readings, sing-alongs and DIY decorations for 40 crafty guests. The Salon “We all gathered in the living room to hear stories told by fellow guests who had contributed personal essays to the book Never Can Say Goodbye: Writers on Their Unshakable Love for New York,” says Janelle. 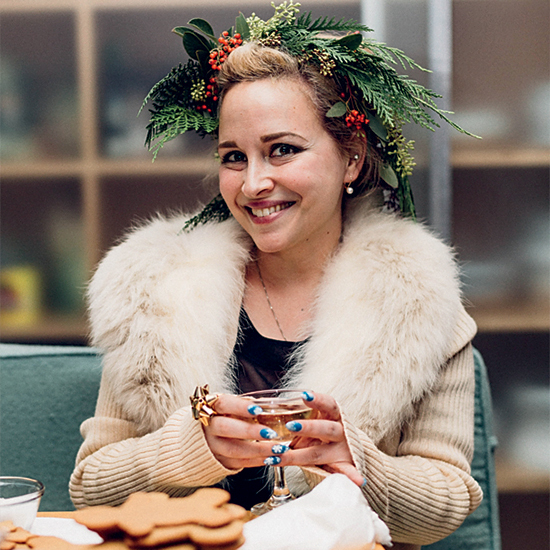 The Crafts Cookie-decorating and wreath-making stations allowed guests like Halli Gomberg (below, in a jaunty holly crown) to get creative. Some of Spring Street’s events are like interactive theater. 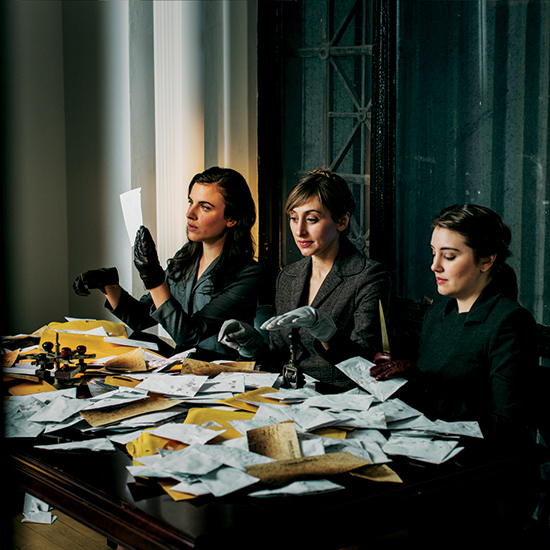 Dead Letter Office, written and directed by Zackary Grady, took place at a former mail-sorting facility and postmaster's quarters, and centered on a murder mystery. The Chefs Aaron Saurer and James Zamory (ex-NoMad) recently launched Carnal at Brooklyn’s Smorgasburg, focusing on big cuts of meat. 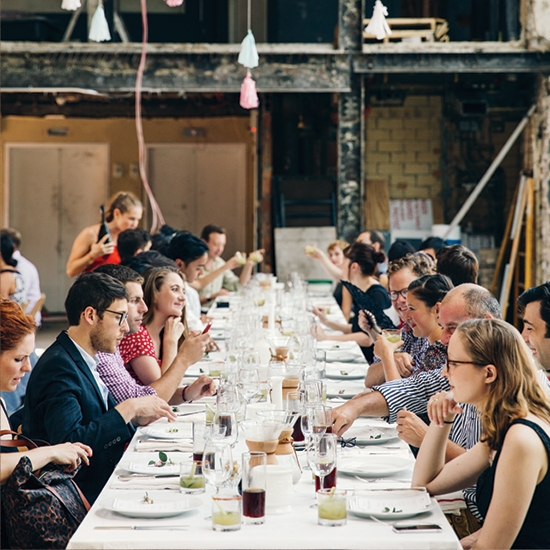 For this dinner, they slow-roasted short ribs with bone marrow and cauliflower. The Performers Actors played postal workers guessing where to send letters that were “dead” (undeliverable). The print version (August 2015) of this article did not mention that Zackary Grady is the writer and director of Dead Letter Office. The Society held its first event outside New York at the Cooper Design Space in downtown Los Angeles. 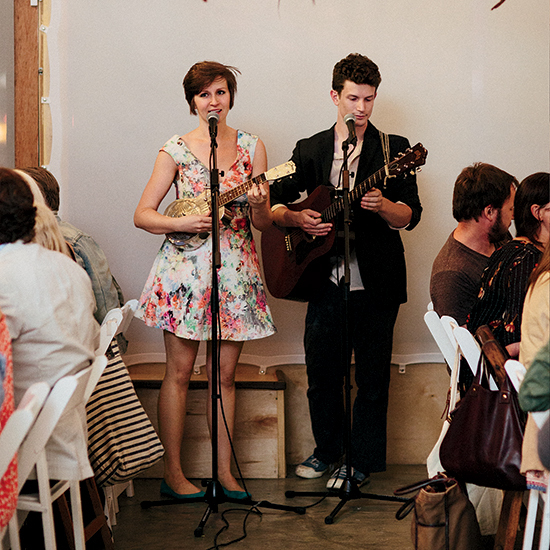 Chef Nicole Rucker, formerly of Gjelina Take Away, made the Southern-style meal; an accordionist helped set the mood. The Entrance Guests were directed to a loading dock in an alley. Every 10 minutes or so they were shepherded onto a freight elevator that never went anywhere: When the doors on one side closed, the doors on the other side opened. “We like drama and mystery in an entrance,” says Janelle. 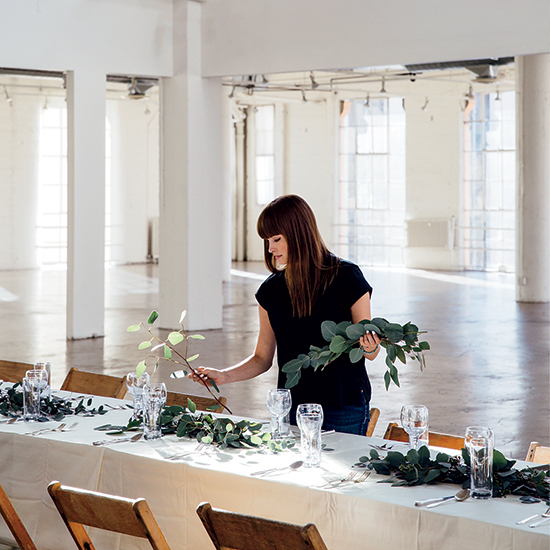 Eventually guests were led to the top floor, to long tables that Krista Boyer decorated with eucalyptus. The Snacks In addition to food from NYC’s Nourish Kitchen + Table, guests were invited to help make updated versions of classic holiday snacks, such as sesame brittle, spiced caramel corn and apple-cider waffle doughnuts.